Have you already given up on your Sit-Stand workstation? I hear an increasing number are being put into storage! Retrofit fit stations increase the height and depth of the work surface. Does this mean shorter staff can no longer raise their chair high enough when seated to work with relaxed shoulders? Some mechanisms are stiff or staff put files or reference material on the surface, making them heavy. As they lean forward and force their back into an isometric contraction, are they in danger of hurting their back? Are people creating the habit of working at different heights, or are they still in one fixed position for most of the day? Are staff trained on how to set up the work surface to achieve relaxed neutral work postures, or are they just left to figure it out for themselves? 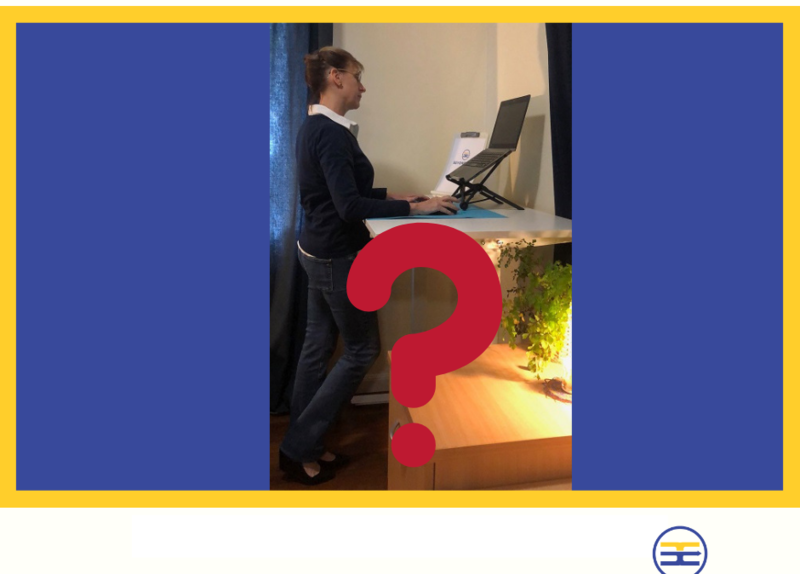 There are obvious advantages, but without the right training and longer trials, I fear sit-stand workstations will be another fad that should have worked. Have you had experience with Sit-Stand workstations?